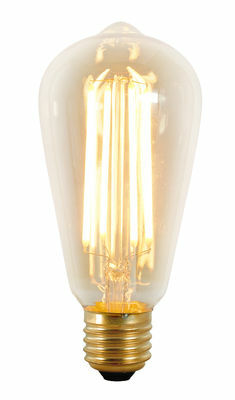 An updated version of the classic squirrel cage filament lamp, the LED option offers vastly superior performance, providing a similar warm colour of light (2200k) to the original incandescent version, while using less than 10% of the power. The lamp is dimmable (using trailing edge dimmers), making it a versatile lamp that can be used in a variety of settings. With an average lifespan of 20,000 hours, this decorative lamp will make a great compliment to many of Original BTC's fittings.